St. Clairsville, OH (April 25, 2018) — Belmont College will honor graduates at their May 3, 2018 commencement ceremony. 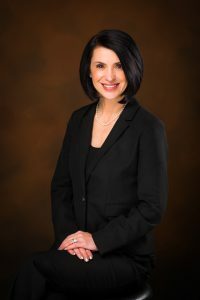 Commencement services will take place at the at the Ohio University Eastern Campus Health and Physical Education Center in St. Clarsville, Ohio at 7:00 p.m.
Ms. Ginny Favede, Executive Director of the Ohio Valley Construction Employers Council. Delivering the keynote address to the graduates will be Ms. Ginny Favede, Executive Director of the Ohio Valley Construction Employers Council, a tri-state contractor’s association, as well as the Co-Chairwoman of Project Best, a construction industry labor-management organization encompassing over five hundred contractors and six thousand building trades craftsman and apprentices serving the Upper Ohio Valley region. In 2017, Favede was appointed by Governor Jim Justice to the West Virginia Design-Build Board and is a member of the Executive Board of Directors for the Ohio Democratic Party. Favede is a graduate of The Ohio State University, where she earned a BA in Political Science. She served as the Belmont County Commissioner for the last eight years and five years as a City of St. Clairsville Councilwoman. Favede served as an advocate at the state level serving as the 2nd Vice President of the County Commissioners Association of Ohio Executive Board of Directors and on the national level as the Vice Chair of the Community, Economic and Workforce Development Committee of the National Association of Counties. She is a 2010 graduate of The National Association of Counties Leadership Institute and a graduate of the Ohio Municipal League Municipal Training Academy.